Here is something that might surprise you. I don't like caviar. Sure, it is gourmet and probably considered to be the creme de la creme by many foodies. But honestly, it doesn't rock my boat one bit. In a way I'm fortunate enough because my wallet can remain healthier--although I would like it to be chubby at some point--but at the same time I don't get to share the crazed passion that both my parents and my sister have when it comes to caviar. 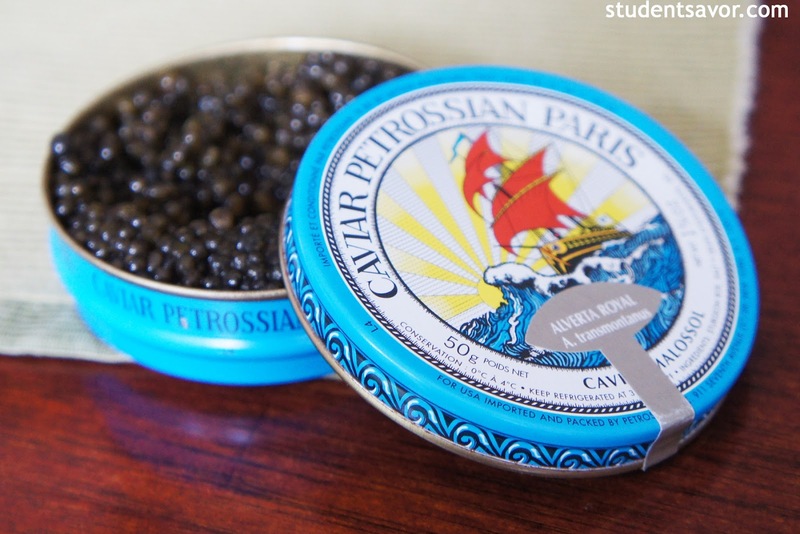 Anyways, this post is dedicated to my family because they love caviar. And I love them--haha how corny was that. 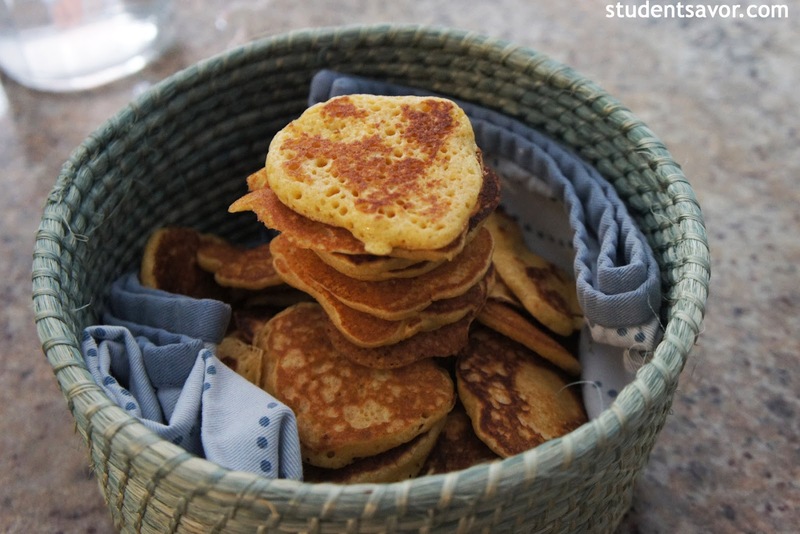 As a favor to them--and also an inspiration to blog again--I decided to make blinis today. And I killed two birds with one stone. 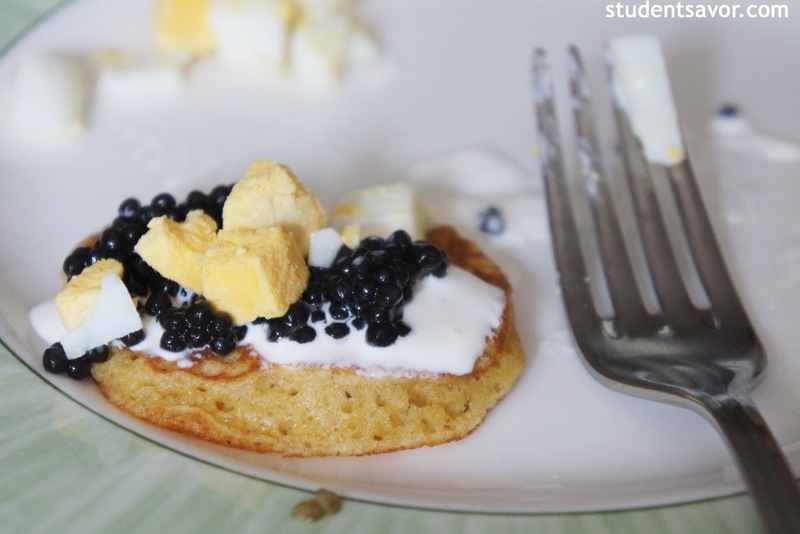 I got amazing photos and found a great recipe on my blog--and yes, these blinis are definitely worth it, even if you don't like caviar. At the same time, my family enjoyed a tin of caviar almost as if they were in a Russian restaurant--key word, almost. Active time: 30 minutes. Total time: 30 minutes. Whisk together dry ingredients in a medium bowl. Add milk and egg yolk and whisk until smooth. In a separate bowl, beat egg white until soft peaks begin to form, about 5 minutes. Fold into batter along with 2 tablespoons butter. Brush a nonstick skillet with some of the remaining butter and heat over a medium flame until hot. Working in batches, drop 1 tablespoon of batter into pan (smoothing it out if you want thinner blinis); cook until bubbles appear on surface and pancakes are golden, about 30-45 seconds. Flip and cook for another 45 seconds. 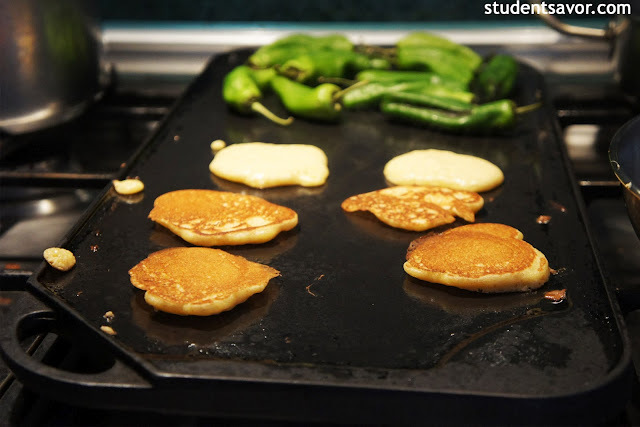 Transfer cooked blinis to a plate and cover with a cloth or foil to keep warm. Carefully brush skillet with more butter and repeat with remaining batter. Such a creative blog I look forward to your recipes, especially the stories behind them! Thanks! I'm glad you enjoy the blog.